This ebook is a compilation of explanations I have gathered and translated regarding the 29th Hadith collected in Imaam an-Nawawi’s 40 Hadith. 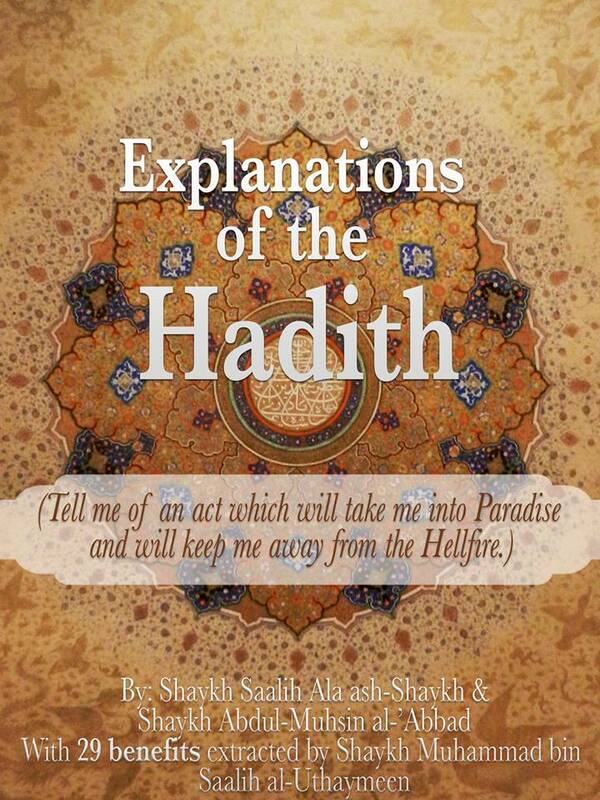 I combined between the explanations of Shaykh Saalih Ala ash-Shaykh and Shaykh Abdul-Muhsin al-’Abbad, may Allah preserve them both, due to their explanations being extremely beneficial and as well as not finding their explanations in the English language. I also added 29 extracted benefits from the Hadith by Shaykh Muhammad bin Saalih al-’Uthaymeen, may Allah have mercy on him. I ask Allah to accept this deed for His sake alone, to make it beneficial for myself when I am in the grave, and to allow this work to benefit the Muslims all across the world. Please read, benefit, and share with other Baarakallahu feekum! Reblogged this on Iqra Bismi Rabbi Kallazee Khalaq.